Being a famous magician must be a tough gig. One minute you’re on a street corner, pretending to levitate in front of some gawking yahoos, and the next minute you’re…hey wait, where did he go? Oh wow, he vanished! Magic is real! No, but seriously, people get bored with famous magicians really quick. 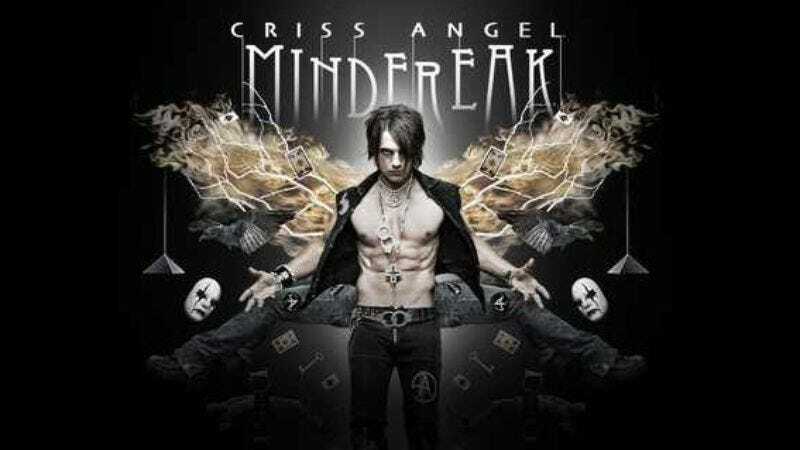 Take Criss Angel. He had a hit show on A&E that was all about freaking minds for six seasons, but our minds have barely been freaked at all since that show ended in 2010. Now, though, Angel has just materialized out of nowhere, thrown his hands in the air, and shouted a triumphant “ta-da,” because Entertainment Weekly is reporting that he’s going to appear on an upcoming episode of the Fox comedy Grandfathered. The show stars John Stamos as a John Stamos-like character who just found out that he has a son and a granddaughter, and Angel will play a magician (a humorous version of himself, most likely) who is hired by Stamos to perform at the granddaughter’s birthday party. EW notes that “he’s probably not the best illusionist for a child,” but we think kids would love to see a guy who looks like an especially goth vampire pretending to fly while heavy metal music plays in the background. Who wouldn’t like that?